This resource, developed by the Green Infrastructure Leadership Exchange, summarizes key funding, financing and implementation frameworks for green stormwater infrastructure. 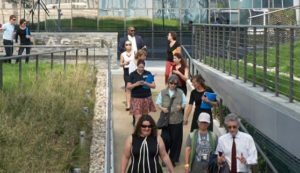 This summary was created by participants of the Green Infrastructure Leadership Exchange “Deep Dive” held on green stormwater infrastructure funding and financing on November 2016. Funding was provided by the Summit Foundation, Pisces Foundation, Surdna Foundation, and Kresge Foundation.